Beloved Ernie Pyle, the GI's close friend and correspondent, gave the folks back home a vivid picture of the doughboy's war in Italy. The two stories below were written after a stay with 36th Division units near Mignano and Venafro. Of all the dispatches which Ernie Pyle has left, the touching story of Capt. Waskow is perhaps his best known. GI's were sorry, too, when Ernie Pyle was killed in the Pacific. FRONTLINES IN ITALY-In this war I have known a lot of officers who were loved and respected by the soldiers under them. But never have I crossed the trail of any man as beloved as Capt. Henry T. Waskow, of Belton, Texas. 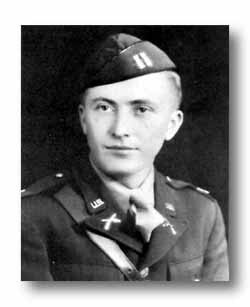 Captain Waskow was a company commander in the 36th Division. He had led his company since long before it left the States. He was very young, only in his middle 20's, but he carried in him a sincerity and a gentleness that made people want to be guided by him. I was at the foot of the mule trail the night they brought Capt. Waskow's body down the mountain. The moon was nearly full at the time, and you could see far up the trail, and even part way across the valley. Soldiers made shadows as they walked. Dead men had been coming down the mountain all evening, lashed onto the backs of mules. They came lying belly-down across wooden pack saddles their heads hanging down on the left side of the mule, their stiffened legs sticking out awkwardly from the other side, bobbing up and down as the mule walked. The first one came early in the evening. They slid him down from the mule and stood him on his feet for a moment. In the half light he might have been merely a sick man standing there, leaning on the others. Then they lay him on the ground in the shadow of the low stone wall alongside the road. I don't know who that first one was. You feel small in the presence of the dead men, and ashamed at being alive, and you don't ask silly questions. Somebody said the dead soldier had been dead for four days, and then nobody said anything more about it. We talked soldier talk for an hour or more. The dead man lay all alone outside, in the shadow of the stone wall. Then a soldier came into the dark cowshed and said there were some more bodies outside. We went out into the road. Four mules stood there, in the moonlight, in the road where the trail came down off the mountain. The soldiers who led them stood there waiting. "This one is Capt. Waskow," one of them said quietly. Two men unlashed his body from the mule and lifted it off and lay it in the shadow beside the low stone wall. Other men took the other bodies off. Finally there were five, lying end to end in a long row alongside the road. You don't cover up dead men in the combat zone. They just lie there in the shadows until somebody else comes after them. The unburdened mules moved off to their olive orchard. The men in the road seemed reluctant to leave. They stood around, and gradually one by one you could sense them moving close to Capt. Waskow's body. Not so much to look, I think, as to say something in finality, to him and to themselves. I stood close by and I could hear. One soldier came and looked down and he said out loud, "Goddammit." That's all he said, and then he walked away. Another one came. He said "Goddammit to hell anyway." He looked down for a few moments, and then he turned and left. Then the first man squatted down, and he reached down and took the dead hand, and he sat there for five full minutes, holding the dead hand in his own and looking intently into the dead face, and he never uttered a sound all the time he sat there. And then finally he put the hand down, and then reached up and gently straightened the points of the captain's shirt collar, and then he sort of rearranged the tattered edges of his uniform around the wound. And then he got up and walked away down the road in the moonlight, all alone. 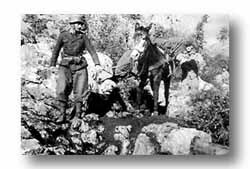 FRONTLINES IN ITALY-The Italian mules which we've been using to pack supplies up to our troops fighting in the mountains, are smaller and weaker than the average American mule. Also they have been ridden around in trucks from one place to another until a lot of them are sick from it. At first we misjudged them and put too heavy a load on their backs. In fact we put on more than an American mule could carry over such a trail. We lashed on four cans of water and two cases of rations, making a total load of around 240 pounds. The mules just couldn't take it. They'd all be sick the next day. So now we load them with only two cans of water and one of rations, cutting the load to 120 pounds. They say the Italians are cruel to their mules on the trail but take good care of them when they're not working. The Italian method of saying "giddap" to a mule is to go "brrrr" like we do when we are cold. When I stand along the pack trail and listen to the skinners "brrr-ing" their mules upward, it sounds like the whole population is freezing to death. At first there were some white mules in the pack trains, but they were too easy to see, even by moonlight, so they stopped using them. A few horses are used also in some outfits, and several were discovered with the brand of the Italian royal family. When the mules arrived from Sardinia, the most pressing problem was to get them shod. It took days to scour the country and dig up shoes for them. Then horseshoe nails became the dilemma. They finally found enough racetrack nails to do the job. In emergencies some pack trains were sent up the mountain in the daytime, but it is dangerous business for the Germans kept the trail pretty well plastered with shells. Luckily there have been no casualties on the trail in my outfit, but seven Italians were wounded in the mule park in a dive-bombing. The Italians are very nervous about bombs and shells, and any night the heavy shells start dropping too close to the mule park, the Italians disappear into their foxholes quick like a magician. And you never can find them in the dark to rout them out again. The men fared much better than the mules, for unfortunately a mule doesn't know about foxholes. My outfit alone has lost 50 mules from shellfire and bombing, and another hundred are sick from overwork and too much riding around in trucks. The Italian mule outfit is under two Italian lieutenants, who wear plumed Tyrolian hats and look sort of romantic. Neither speaks English, but in the American Army you only have to yell twice to find a soldier who speaks Italian, so the little group has an interpreter. Everybody has to depend upon him so that he practically runs the show. He is Cpl. Anthony Savino, of 262 14th Avenue, Newark, N. J. His job would drive anybody crazy. The Italians are not quick and efficient like we are, and about the time Savino gets a pack train all arranged, everything collapses and chaos takes place. Then he catches it from both sides. The officer in charge of this mule pack is Lieut. Harmon W. Williams of Flint, Michigan. He was named after General Harmon who won fame in the last war. Some nights Lieutenant Williams is up till 3 A.M. seeing that all the skinners get back down the mountain. Other nights he gets to bed as early as 7 P.M. He sleeps whenever he can, for it's an unusual night when he isn't routed out to get some emergency supplies to the top. He sleeps in a stone cowshed along with a dozen of his enlisted men. He was an undertaker in civil life, an antitank man in the Army, and a mule nurse just for the moment. Cpl. Savino takes his interpreting job so seriously he even talks about it in his sleep. I slept in the same cowshed with the boys, and one night I happened to wake up about 3 A.M. and I heard Savino saying, "Well, if we can't use them as interpreters, let's make guides out of them." He thought that was pretty funny when I told him, because he had never known that he talked in his sleep. 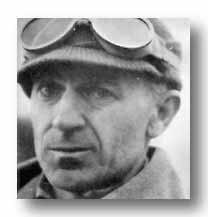 For an excellent, in depth paper, see Appointment At Hill 1205: Ernie Pyle and Captain Henry T. Waskow elsewhere on this site.